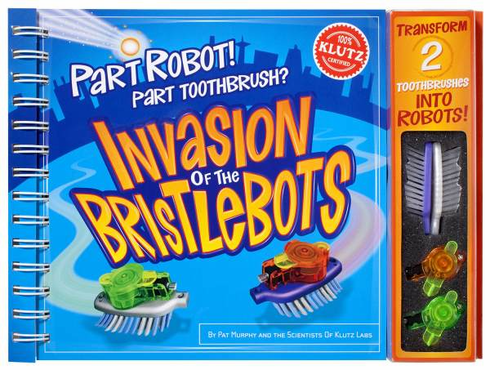 Comes with 2 motorized toothbrush heads in the style of robots. Place the tiny motors on the toothbrush heads and watch them zoom around. Customize with the included wire legs, feelers, and beady eyes.